Technology seems to be developing at a phenomenal speed and accordingly, the world is undergoing a revolutionary change. Cutting-edge technologies are coming in to boost ease of interaction and convenience for the consumer in diverse sections such as grocery, e-commerce, banking, and transportation. Mobile devices have infiltrated every aspect of our lives. The financial area certainly is not treated as an exception in any way. You are today using a host of amazing gadgets while lending money, paying bills, and even saving for vacations. Financial and Fintech apps make your life a lot more convenient by offering an array of excellent benefits such as easy access, high-security, and free cards. If you are thinking of managing and keeping track of your payroll and your benefits, you may use Zenefits. This Fintech app is known for automating your processes for you to understand the situation. Zenefits is equipped to handle both payroll and benefits. Moreover, it is known to manage compliance also. Gusto is a fantastic tool for effectively managing payroll and benefits. Gusto facilitates you in the organization of human resource functions. With the help of Gusto, you could save both money and time. You could find beneficial health benefits to the employees and assist the employees with 401K. Gusto is a versatile Fintech tool and helps to automate workers’ compensation and taxes and makes sure that all your employees get their remuneration package on time every month. Gusto is the perfect tool for staying on top benefits and payments. The Guideline is another Fintech Tool for boosting your small business and takes it to a whole new level. It helps you to effectively manage your plan for your employees’ benefit. You may consider setting up an automated enrollment meant specifically for your employees when they are qualified for the plan. Moreover, it is quite simple and hassle-free for employees to effectively manage their accounts. The Guideline is pretty transparent and does not believe in hidden costs. Employers would be paying a flat fee and their employees would be paying low-cost fund fee. In this context, you may browse through debt consolidation reviews for learning more and taking well-informed decisions for perfect debt solutions. If you wish to monitor employee expenses, your best option is Expensify. Expensify is known to be an excellent Fintech tool for small business as it would allow all your employees to go ahead and submit their expenses for reimbursement. This tool is pretty easy to use and you could categorize your expenses. Moreover, it is quite a simple and convenient way of uploading receipts for comprehensive reports. Expensify is an amazing tool and is supposed to have an app which employees could utilize for clicking photos of receipts and also, keeping track of all their individual cases. Moreover, you could update once expenses have actually been approved for reimbursement and the time precisely when they would be deposited in all your employees’ respective accounts. This is one of the easiest ways of managing these kinds of transactions without taking too much time. Emburse is an effective employee expense tool. This does not focus on managing the reimbursement program. This tool would be emphasizing more on publishing cards for employees to effectively pay well ahead of the time. The most striking feature of Emburse is that it could generate virtual credit cards that could be used by your respective teams. So you could be assigning each specific small business unit one card that could be used by everyone belonging to the group. You could consider getting your employees the approval for an already set amount in advance for making sure that nothing goes out of control. Remember any virtual credit card would prove to be of immense help. Emburse is supposed to come up with a precise credit card number, security code, and expiration date so that that card could be used for smoothly making online purchases right from inventory to your small business tour. Emburse also, would be distributing and managing physical cards for all individual members of your team or group. Xero is supposed to be a reputed cloud accounting organization that is dominating the global market today for its array of startup accounting apps. Xero is best for cloud computing and you could be easily getting live access to all your vital financial information, bank feeds, turnover, cash flow, debtors, and more from all corners of the universe. Real-time financials prove to be a great asset for the executive decision-making process. Real-time financials are extremely popular for their superlative cash flow reporting efficacy and capabilities. The Spotlight is very popular for reporting, as well as, KPI management. This is supposed to be a robust dashboard tool which could be set up for tracking and enhancing key metrics. You could now easily impress your business investors with striking reports that demonstrate clearly the key drivers responsible for growth and progress in the small business. Due is supposed to be a superlative Fintech tool meant for boosting your small business. Due is certainly the best choice for managing invoice and payments. You could easily and quickly examine who all have paid and the ones that haven’t paid yet. You could consider issuing reminders to all those who still haven’t paid. Moreover, Due could be accepting a broad spectrum of payments and also, has a digital wallet that could prove to be helpful in managing your payment forms. Due would be depositing money in your precise bank account if you so desire. You could be setting up recurring invoices as well and wait for your money to actually come in. Thanks to this efficient tool you are now successful in reducing the overall amount of time you have dedicated to invoicing. You are now having more time to focus on fortifying your small business. If your business is still not utilizing these powerful Fintech tools, your business is really missing out on golden opportunities. Remember there are effective tools for practically all aspects of your small business. 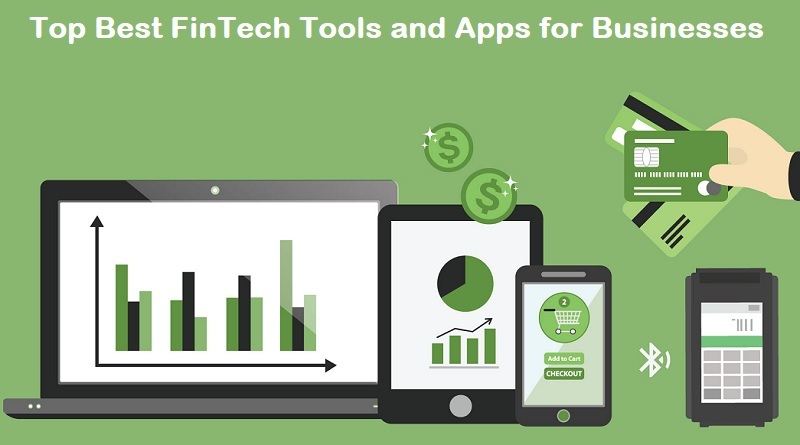 The Fintech tools help in making your life a lot simpler and easier. Moreover, you could now save money and maximize your endeavors.